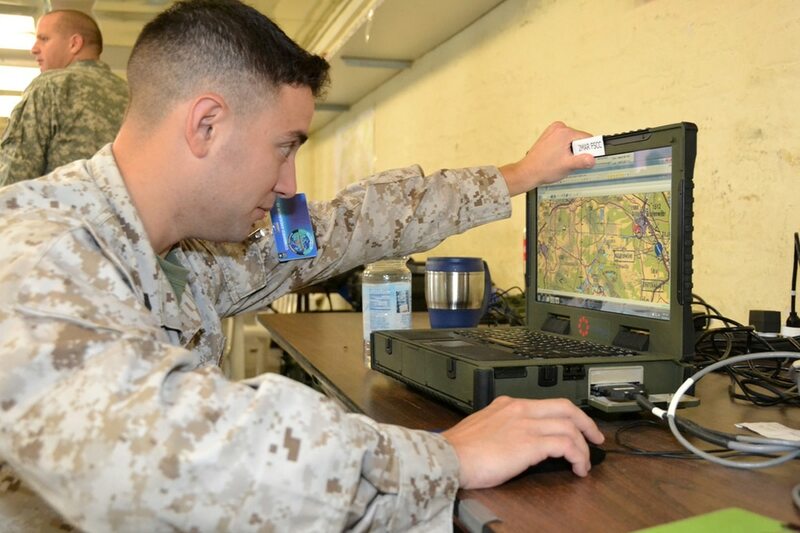 The Marine Corps has activated the first of its new defensive cyber companies. II Marine Information Group, or MIG, held an activation ceremony July 16 for the first-ever defensive cyber operations-internal defensive measures company, according to the group. These DCO-IDM companies, which will eventually be stood up within each MIG, are designed to help defend critical digital assets at the tip of the spear. According to a Marine Corps news release, the company will perform include mission assurance actively hunting for advanced persistent threats that evade routine security measures. These teams will be separate from the cyber mission force personnel within Marine Corps Forces Cyberspace Command that serve as the dedicated cyberwarriors for U.S. Cyber Command. Through a variety of exercises, the Marine Corps continues to integrate the Marine Expeditionary Force Information Groups and information-related capabilities with traditional forces. Rather, the DCO-IDM companies will serve as a “paired down version” of cyber protection teams in the cyber mission force and employed at the Marine Air Ground Task Force level, said Master Gunnery Sergeant Carlos Torres, Senior Enlisted Marine, Cyberspace Division, Deputy Commandant for Information, during the annual C4ISRNET Conference in May. The MARFORCYBER CPTs were leveraged to help inform the gaps that drove Marines to build the organic defensive cyber capability within the MAGTF. This allowed the service to rely less on the limited CPT assets, said Torres. The introduction of these teams and their concept “is a big change in how we employ folks at the tactical level to defend those weapon systems and going beyond the reactive approach,” he said. These teams will sit within the MIG, which will house tactical- and operational-level cyber, electronic warfare, signals intelligence and all information-related capabilities under a single organization.